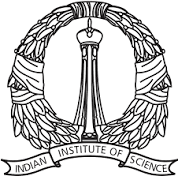 IISc. Summer Fellowship in Science and Engineering - 2018 for SC/ST students. Eligibility: SC/ST students studying 1 st year M.Sc in science disciplines (Biological, Physical, Chemical and Mathematical Sciences) or 3 rd year B.E./B.Tech or equivalent degree in all discipline during the academic year 2017-18. Students during 2 nd Year MSc, 4th Year Engineering, M Tech students and students already applied in past are not eligible for this program. Features of the Programme: Selected candidates will work with one of the faculty members of IISc., and learn various techniques used in research. Last date for submission of filled in application form is 25th April 2018. The online application will open from 8 th March 2018 (10 A.M onward). After submitting online application, take a print out of the application along with study certificate and attach latest passport size color photograph at identified place, duly signed application by the Principal of the college. Sir iisc fellowship m kharch kitna ayega. I mean fee kitni h.
IS THERE ANY SUMMER FELLOWSHIP OFFERING FOR BTECH STODENTS OF BC AND OC CASTES. what after uploading ? Dates of result ?